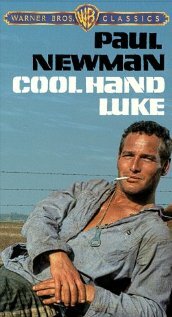 Fans of Paul Newman will recognize his character’s famous line in Cool Hand Luke. Never in the history of electronic communications do we have so many choices and yet experience so many communication failures. This was made clear to me recently when I tried to get in touch with a “friend” of mine. I put the word in quotes because I mean it in Facebook terms: someone that I may or may not have met f2f, but want to stay in touch. Let’s call this friend Bob for simplicity. My go-to communication method is email, so I first tried to send Bob a quick email to answer a question. Sadly, I have 9,000 contacts in my Gmail but Bob is one of the many of them who have moved on to another email address. The mail came back undeliverable. That wasn’t a good sign. But even if it got through, it doesn’t mean anything these days: there are lots of folks that ignore their emails, or have bad spam filters, so sometimes they don’t see them even if the address is correct. Then I thought, perhaps I have Bob under my contacts at LinkedIn, which is my second place that I can usually track someone down. Strike two: LinkedIn knows about Bob with the outdated email that I had. Apparently, Bob hasn’t been too diligent about his updates. Yes I could try Plaxo but didn’t bother. Bob’s phone is listed as his work number in my database, and of course he no longer works at this company anyway. Sometimes you can get the main number of the company or press 0 for a receptionist and they can be quite helpful. But this firm got rid of their receptionists long ago (chalk it up to progress) and just has a dial-by-name directory so that doesn’t help things. Once I got someone else’s replacement and they were quite helpful, pointing me to the new (or at least next) employer, but still, that doesn’t happen all too often these days. Facebook? Bob and I aren’t connected there. And Bob has a common name, so trying to track him down and befriend him is an exercise in frustration. Do I remember any mutual friends of Bob that can connect me? I can’t remember how we first met: this isn’t unusual, as my memory isn’t what it used to be these days. Even if we were Facebook “friends” that still doesn’t mean I am out of the woods. Yes, I could try Facebook messaging or IM, but if Bob isn’t online or doesn’t check his account all that frequently, that may or may not pan out. Maybe Bob is on AOL or Skype or MSN IM? Nope, or at least I don’t think so. I have a lot of people on various IM lists, some that I have identified with their real names and others that have puzzling screen names with no clue as to who they are. Most of my IMs are to people that I work with (or did work with) on a daily basis: my AOL IM list for example, is frozen in time back to 2004 when I last worked at CMP (now UBM) and that was our main corporate communications channel. One of these days I am going to weed these out. In the meantime, there isn’t any real way to find someone on IM, unless you know of his or her ID to begin with. The same goes for Twitter. There are some people that have turned Twitter into their go-to communications platform, but I am not even close there. Maybe that will motivate me to start. I guess I could Google Bob, that might work, but for common names it is unlikely. So yes, electronic communications has made us incredibly productive. But sometimes I do miss the olden times; back when real people answered their phones and tracked folks down when they didn’t. I welcome your thoughts and suggestions, please post to my story on ReadWriteWeb here. This entry was posted in email, Instant Messaging by dstrom. Bookmark the permalink.